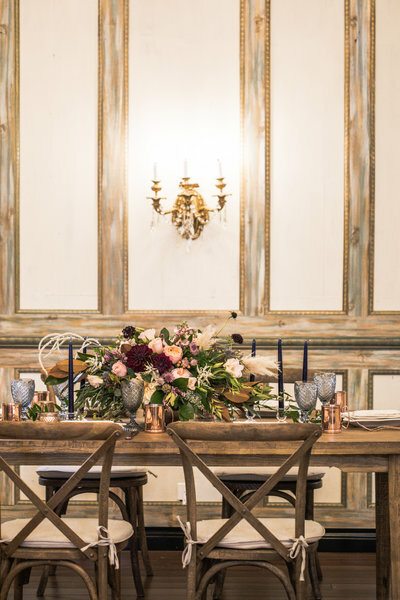 The Painted Primrose is a floral studio specializing in wedding flowers. We happily service the greater Boulder area, Estes Park, Lyons, Longmont, and beyond! 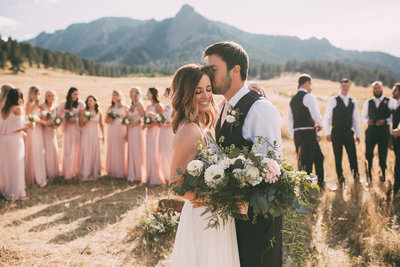 Our passion is bringing a couple’s vision to life through complex color palettes, unique flower choices, and stunning designs. Follow along for fun, flowers, and new things going on at the Painted Primrose. Thank you so much for visiting our blog! My name is Sabia, and I am the owner and lead designer of the Painted Primrose. 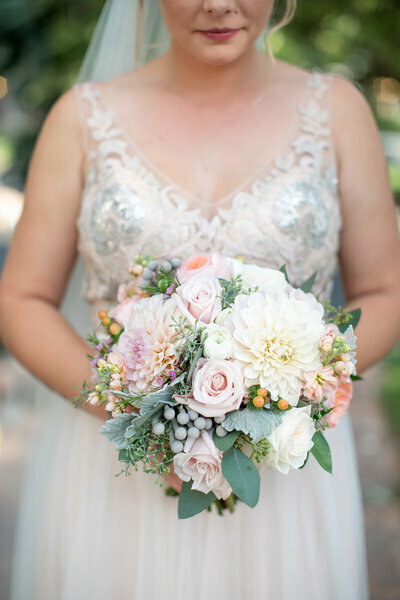 I love spending my days working with beautiful blooms and sharing these beauties with amazing couples. 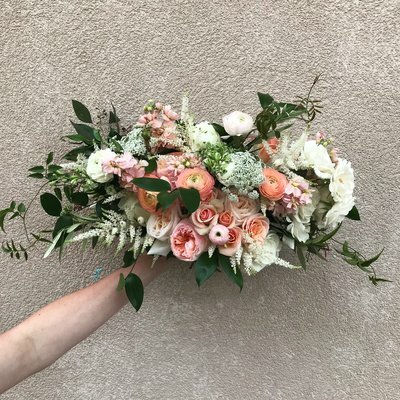 Here you’ll find recent weddings, information on our favorite flowers, and some creative musings. While summer tends to be the typical wedding season, at Painted Primrose, we always love getting to create winter wedding florals! For a winter wedding, we get to explore a different range of color. And who doesn’t adore a pop of flowers during the cold winter months? For Kellee and Joe, we created a wild vibe for the bride’s bouquet with hanging greenery and bold crimsons. It still had the playfulness of a wildflower bouquet you might see at a summer wedding, but the boldness needed for a winter wedding. 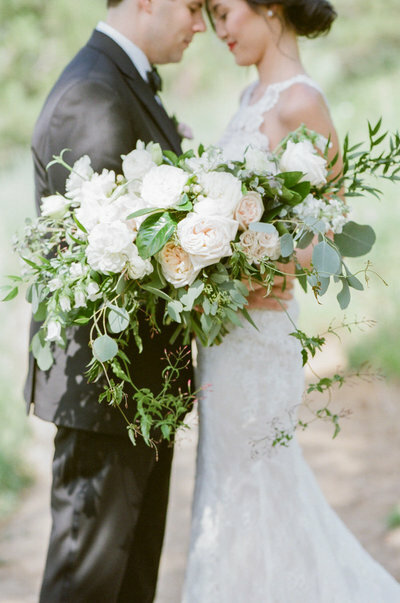 Several varieties of eucalyptus and olive branches provided a soft green while burgundy dahlias, garden roses, mink protea, and red hanging amaranth contributed romantic color. 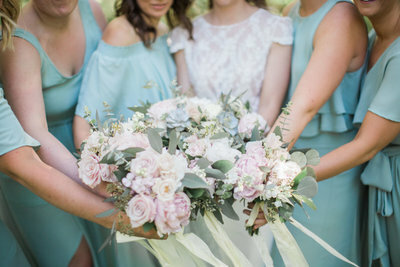 Bridesmaids carried more simple, white floral bouquets. We used bold winter colors and wild greenery to create this beautiful winter bouquet for Kellee. 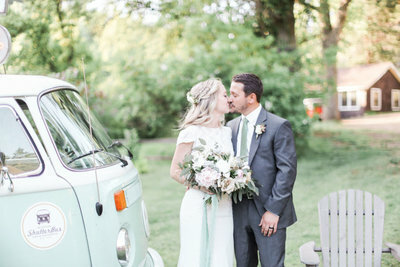 Kellee and Joe wanted to incorporate some of the same greenery from the bouquets in their decor. One trick we suggest to our couples is to use pieces that can double as aisle decor during the ceremony and centerpieces during the reception. 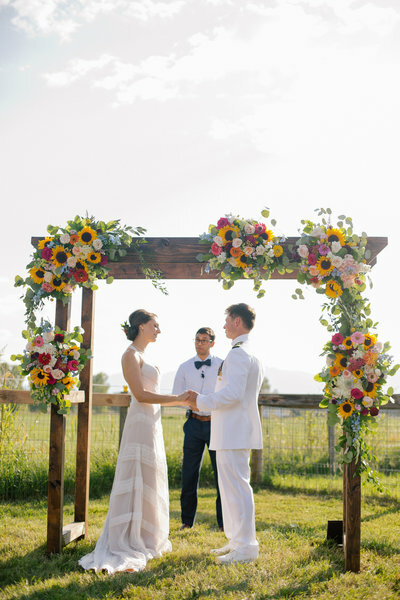 These florals added some interest to both the ceremony and reception, which took place at Lionsgate Events Center in Lafayette, Colorado. Simple greenery and candles elevated the aisle and doubled as centerpieces during the reception. The florals used in the aisle during the ceremony doubled as simple, elegant centerpieces. Also, we helped Kellee and Joe’s wedding dreams become a reality with a floral cake topper. We used the same dripping theme and vibrant colors from the bridal bouquet. The flowers looked stunning against the white frosting on the cake. Cascading florals on the cake echoed Kellee’s bridal bouquet. And the final touch of florals for this beautiful winter wedding was a few sprigs of baby’s breath the bride added to her hair. In her flowing hairstyle of a braid and loose curls, the baby’s breath was elegant and sweet. 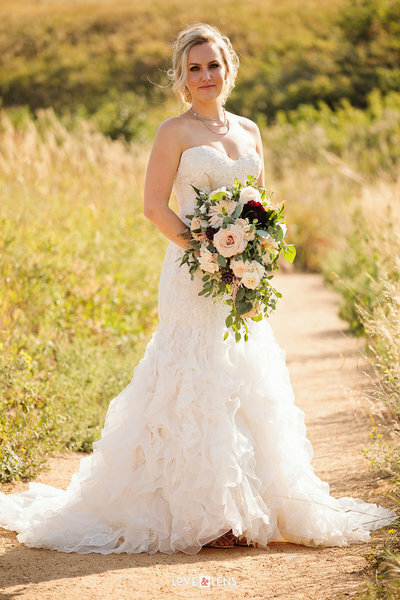 Baby’s breath only added to how breathtaking Kellee was on her wedding day! 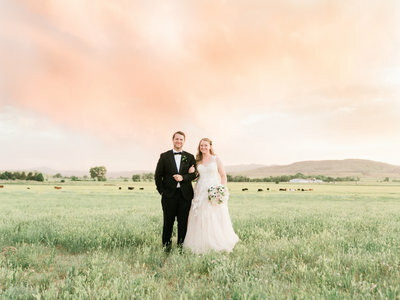 Congratulations, Kellee and Joe! Thank you for letting us be a part of your beautiful day!